I'm super excited to be participating in not 1, but 2 book studies this summer! My blogging buddies Tammy and DeeDee are busy organizing right now so grab your books quick so you can join in too! Tammy at Live, Love, Laugh Everyday in Kindergarten is hosting a Daily 5 book study beginning on June 8th. Check out her blog for details. 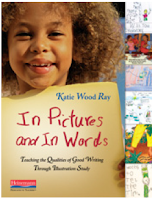 Deedee at Mrs. Wills Kindergarten is hosting one on the book In Pictures and in Words. This one starts June 22nd! She's already got the whole thing outlined on her blog. My book should be arriving tomorrow- I can't wait! Thanks so much about posting about these book studies. 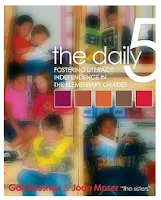 I almost forgot about the Daily 5 study. See you on the 8th. I'm very excited about both book studies ! I'm your newest follower! Check out my new blog! Thank you for the shout out! I am equally excited about Tammy's book! I will be gone for the start of it, but I hope I can catch up towards week 2!